Becoming informed on Middle East issues is one of the principal goals of Euphrates Chapter members. Yet getting to know the Middle East can be a hefty task! We recommend the following resource list of news sources, articles, books, skills development resources and organizations to get you up to speed on Middle East relations, recent developments, and projects for peace. Don’t forget to check out our blogs and vlogs and sign up for our weekly updates for further news, inspiration and opportunities for transformation! Al Monitor provides a range of viewpoints on critical issues from writers and analysts on the ground across the region. Sign up for the free daily e-bulletin. The American Task Force on Palestine presents a comprehensive daily news roundup on events in Israel and Palestine and coverage throughout the Middle East. Sign up to receive daily email updates. BBC News Middle East provides round-the-clock reporting from across the Middle East. The Brookings Doha Center seeks to contribute independent research and analysis to the Middle East policy debate. The Christian Science Monitor offers news and analysis on Middle East trends and issues through the “Olive Press” and “Backchannels” blogs as well as the Terrorism and Security roundup. Common Ground News Services, an initiative of Search for Common Ground, strives to offer “constructive articles to foster dialogue,” and also provide a chance for readers to submit their own articles. Foreign Affairs is a long-standing leader in the the dialogue on U.S. foreign policy and global issues. The Foreign Policy Middle East Channel features regularly-updated Editorial content on a range of issues and developments across the region. Sign up for daily updates delivered directly to your Inbox. Also check out the Foreign Policy Peace Channel, in conjunction with the United States Institute of Peace (USIP), for regular updates and analyses of global conflict issues. The International Center on Nonviolent Conflict collects news from global sources related to the policies and practices of nonviolence. Sign up for weekly email updates on nonviolence movements and events. Tikkun merges secular and religious thought to promote peace and “heal the world.” Tikkun began as a progressive rebuttal to the religious Right in Israel, supporting peace in Palestine and Israel’s right to exist. In 2005, it grew into a fully interfaith magazine that critiques violence and oppression worldwide, with religious and secular readers/writers. To further diversify, Tikkun also publishes editorials on its blog and includes dissenting opinions. Your Middle East is a grassroots movement that seeks to counter mainstream coverage of the Middle East that is biased and incomplete. Armstrong, Karen. Think Again: God. Foreign Policy, October 2009. Haas, Richard N., The New Middle East. Foreign Affairs, 2006. Mark, Clyde. Islam: A Primer. The Library of Congress, February 2003. Neiman Reports. Islam Today: The Need To Explore Its Complexities. Neiman Foundation, Summer 2007. NPR. The Origins of the Shiite-Sunni Split. February 2007. The U.S. – Muslim Engagement Initiative. Changing Course: A New Direction for U.S. Relations with the Muslim World. September 2008. Amiry, Suad. Sharon and My Mother-in-Law: Ramallah Diaries. Anchor, 2006. Armstrong, Karen. The Battle for God: A History of Fundamentalism. New York: Ballantine, 2001. Armstrong, Karen. Muhammad: A Biography of the Prophet. San Francisco, Calif.: HarperSanFrancisco, 2009. Beinart, Peter. The Crisis of Zionism. Times Books, 2012. Carter, Jimmy. We Can Have Peace in the Holy Land: A Plan that Will Work. New York: Simon and Schuster, 2009. Carter, Jimmy. Palestine: Peace, Not Apartheid. Simon & Schuster, 2006. Chacour, Elias and David Hazard. Blood Brothers. Chosen Books, Expanded Edition, 2003. 240 pages. Chacour, Elias. 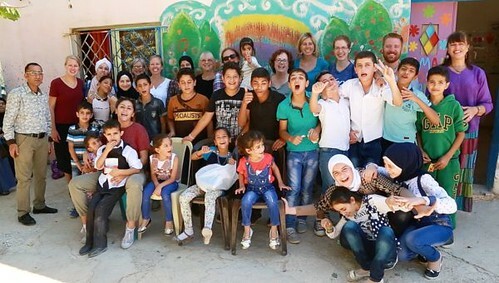 Faith Beyond Despair: Building Hope in the Holy Land. SCM Press, 2011. Chehab, Zaki. Inside Hamas: The Untold Story of the Militant Islamic Movement. Nation Books, 2008. Dekker, Ted and Carl Medearis. Tea With Hezbollah: Sitting at the Enemies Table – Our Journey through the Middle East. Doubleday Religion, 2010. Forer, Richard. Breakthrough: Transforming Fear into Compassion – A New Perspective on the Israeli-Palestinian Conflict. Insight Press, 2010. Fromkin, David. A Peace to End All Peace: Creating the Modern Middle East,1914-1922. New York: H. Holt, 1989. Heck, Paul. Common Ground: Islam, Christianity and Religious Pluralism. Georgetown University Press, 2009. Kapuscinski, Ryszard. The Other. Verso, 2009. Lerner, Rabbi Michael: Embracing Israel/Palestine: A Strategy to Heal and Transform the Middle East. North Atlantic Books, 2011. Miller, Aaron David: The Much Too Promised Land: America’s Elusive Search for Arab-Israeli Peace. Bantam, 2008. Oz, Amos: How to Cure a Fanatic. New Jersey: Princeton University Press, 2006. Peled, Miko, The General’s Son. Just World Books, 2012. Ramadan, Tariq. Islam and the Arab Awakening. Oxford: Oxford University Press, 2012. Ruthven, Malise: Islam in the World. Oxford University Press, USA, 2006. Sand, Shlomo: The Invention of the Land of Israel Verso, 2012. Thich Nhat Hanh: Peace Begins Here: Palestinians and Israelis Listening to Each Other. Parallax Press, 2004. Tolan, Sandy. The Lemon Tree: An Arab, a Jew, and the Heart of the Middle East. New York: Bloomsbury Pub., 2006. Wright, Robin: Rock the Casbah: Rage and Rebellion across the Islamic World, Simon & Schuster, 2011. Euphrates Chapter members often desire to cultivate the skills needed for effective engagement with regional issues and challenges. Below are some resources to get you started! You might also explore opportunities to develop relevant skills provided in your local community. The Caux Scholars Program is an initiative of change, attempting to bring peace and communication to international conflict through training and recognition of young peacebuilders around the world. The scholars are invited to a yearly summit. The Council on International Educational Exchange (CIEE) is a program for semester-long student abroads. The Arabic Program is based in Amman, Jordan. The Critical Language Scholarship (CLS) is a fully-funded cultural and language program for American undergraduate and graduate students. 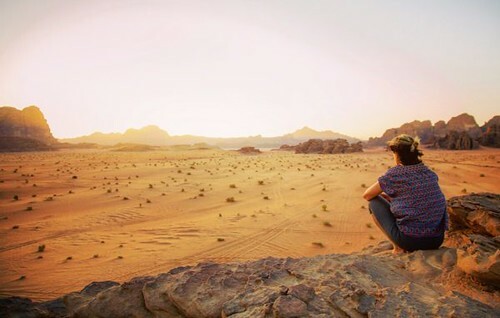 The program takes place in countries such as Morocco, Oman, and Jordan. The Boston Language Institute in Boston, Massachusetts, USA is a 4 or 6-week language immersion program for any age. The program is 5 days a week. Fellows for Peace invests in aspiring peacebuilders by funding a summer of language study for a critical language essential to their progress in building peace. The International Mediation Institute provides a listing of Mediation events worldwide on its website. Rosetta Stone is a trusted language program that can be purchased, downloaded, and used from anywhere in the world. It can be completed at the individual’s own pace on their personal computer. A Common Word | An open-letter was penned by leaders of the Muslim faith to their Christian counterparts in October 2007. Since then, a wealth of events, publications, courses of study, and peace initiatives have sprung from the recognition of a common basis for peace between these two faith communities. American Educational Trust | Retired U.S. foreign service officers founded the American Educational Trust (AET) in 1982 to provide the American public with balanced and accurate information about U.S. relations with the Middle East. AET publishes the Washington Report on Middle East Affairs and owns and operates a bookstore in Washington D.C., selling cookbooks, poetry, maps, music, and Palestinian handcrafts. American-Mideast Educational and Training Services | The American-Mideast Educational and Training Services, commonly referred to as AMIDEAST, was created to improve American understanding of the Middle East and North Africa. 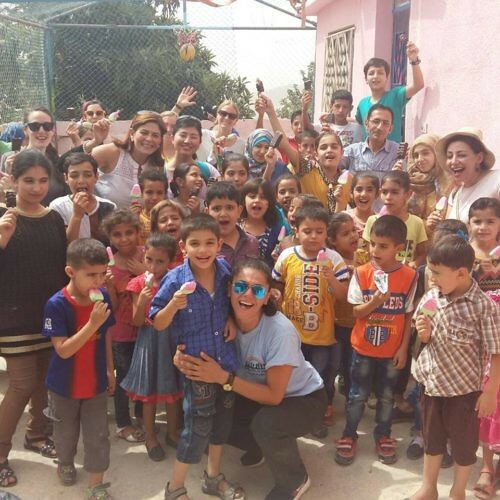 Their original mission was sending students abroad to study and make personal contact with people in the Middle East and North Africa. Today, AMIDEAST also helps send students from the Middle East and North Africa to the U.S.
Americans for Middle East Understanding | The unique grouping of professionals in medicine, church ministry, archeology, and diplomacy founded the Americans for Middle East Understanding (AMEU) in 1967 to improve America’s appreciation for Middle East culture, history, and current events. AMEU’s primary publication is the Link, which is published five times a year and focuses on a single issue not usually found in mainstream media. American Task Force for Lebanon | The American Task Force for Lebanon (ATFL) is a nonprofit organization comprised primarily of prominent and dedicated Americans of Lebanese heritage who share a common interest in Lebanon and the goals of the organization. ATFL’s mission is to work towards reestablishing a secure, stable, independent, and sovereign Lebanon with full control of all its territory. The American Task Force on Palestine | Run by Palestinian Americans, the American Task Force on Palestine’s (AFTP) raison d’être is to create a Palestinian state set on pre-1967 borders. AFTP acknowledges Israel and works with Israelis who believe a two-state solution is the best way to bring peace to the region. Arab American National Museum | Located in Dearborn, Michigan, this museum is the only one of its kind in the United States and is affiliated with the Smithsonian Institute in Washington D.C.
Center for Strategic and International Studies – Middle East Program | The Center for Strategic and International Studies (CSIS) is a non-partisan think tank that was established in 1962. Their Middle East Program concentrates on highlighting lesser-known challenges, such as communication technology; links academics with policy creators; and develops opportunities for positive change in the region. Center for the Study of Islam and Democracy | This not-for-profit institution was created in 1999 by academics, professionals, and activists, both Muslim and non, to study Islamic and democratic political thought and merge them into a modern Islamic-democratic discourse. Center for World Religions, Diplomacy and Conflict Resolution | Affiliated with George Mason University, the Center for World Religions, Diplomacy and Conflict Resolution (CRDC) is based in Arlington, Virginia. Their mission is to connect local conflict resolvers with entrepreneurial opportunities and policy makers. Foundation for Middle East Peace | The Foundation for Middle East Peace (FMEP) is committed to bringing peace to Israel and Palestine by a two-state solution, thus ensuring the security and endurance of both. The foundation has made Israeli settlements a priority because they sees it as a substantial factor in the hostilities. 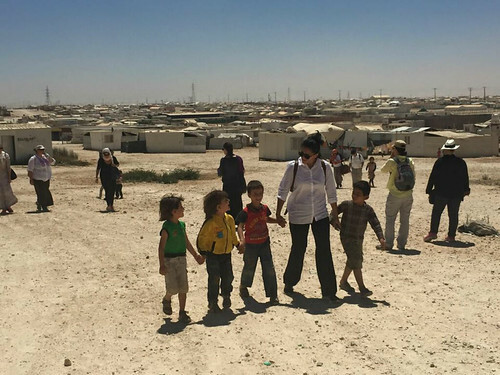 The Humanitarian Dialogue Foundation | Based in Iraq and London, the mission of the Humanitarian Dialogue Foundation (HDF) is to host and encourage cultural exchange amongst Iraqis. By sharing Iraq’s rich heritage, HDF hopes to unify the diverse population living within its borders. Institute for Palestine Studies | Created in 1963 in Beirut, Lebanon, the Institute for Palestine Studies (IPS) claims to be the only institute in the world dedicated completely to Palestinian affairs and the Arab-Israeli conflict. Their mission is to research, analyze, document, and publish relevant materiel, and protect the integrity of the historical record. Interfaith Encounter Association | The Interfaith Encounter Association (IEA) believes religion should be the means of peace and not the cause of violence. The IEA is trying to achieve their goal of interfaith dialogue and cross-cultural study by holding events, forming discussion groups, and other projects. International Center for Religion and Diplomacy | Primarily involved with the Middle East, but with projects in the Sudan and Kashmir as well, the International Center for Religion and Diplomacy (ICRD) is a Washington D.C.-based NGO. Their mission is to incorporate religion as a part of resolving and preventing conflict in areas where traditional diplomacy is inadequate. J Street | J Street is one of the largest pro-Israel lobbying groups in the U.S., but they offer something different than most because J Street promotes Israeli and American interests by lobbying for a Palestine state next to Israel. The Jerusalem Fund | Non-profit, non-political, and non-sectarian, the Jerusalem Fund is devoted to education and community building. Just Vision | Just Vision uses media tools and produces documentaries to highlight the many Israelis and Palestinians working to stop violence between the two nations. The films Encounter Point and Budrus have been critically acclaimed, and press coverage of the projects featured in these films has increased the positive work of those organizations. Metta Center for Nonviolence | Students of Sri Eknath Easwaran started the Metta Center for Nonviolence in 1982. 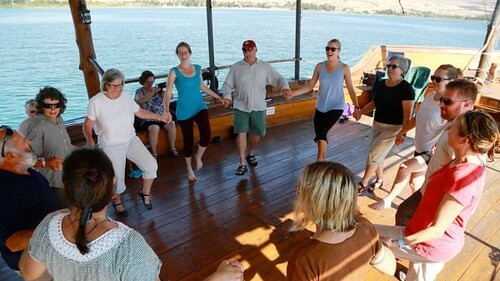 Metta teaches nonviolent conflict resolution techniques and educates any and all interested persons about the subject. Middle East Institute | This esteemed think tank was created in 1946 as a place for accurate and rigorous research for the post-war Middle East. Today, they cover a wide array of interests including culture, the environment, politics, and human rights. This research is published in The Middle East Journal, the first scholarly journal to focus exclusively on the Middle East. Middle East Forum | Promoting American interests in the Middle East, the Middle East Forum sees the region as a major source of problems for the United States, and therefore urges active measures to protect Americans and their allies. OneVoice Movement | OneVoice is a grassroots organization using the “power of the people” to influence elected officials towards a two-state solution for Israel and Palestine. The Parents Circle – Families Forum | This organization is comprised of over 600 Israeli and Palestinian families that have lost a close family member due to the chronic fighting in the region. The mission of the Parents Circle – Families Forum (PCFF) is to create a framework for reconciliation, and influence policy makers and the public to seek peace through empathy instead of war. PFCC tries to achieve these goals through face-to-face reconciliation projects, media outlets such as documentaries and a TV drama, member seminars, and professional training for activists. 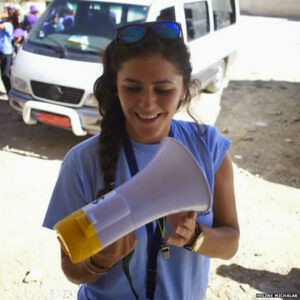 Partners for Peace | Partners for Peace has continued to promote peace within Israel and Palestine through nonviolence. One tactic was researching Israeli human rights abuses of American citizens of Arab descent. More recently, Partners for Peace has tried to promote women’s rights in the region, as well as better educate Americans, through their speaking tour Jerusalem Women Speak: Three Women, Three Faiths, One Shared Vision. The Peace Alliance | The Peace Alliance is a not for profit organization dedicated to spreading peace both in the U.S. and abroad through government advocacy, education, and grassroots movements. Project on Middle East Democracy | The Project on Middle East Democracy (POMED) has a very specific goal: examining how to establish democracies in the Middle East with the help of the United States. POMED is very clear in its opinion that strong democracies in the Middle East will be beneficial to citizens of those countries as well as to American foreign policy. Search for Common Ground | Search for Common Ground (SFCG) is an organization that strives to change the world’s approach to solving conflict: collaborative problem solving instead of adversarial tactics. SFCG uses media initiatives and works together with local governments to find culturally sensitive measures to deal with conflicts constructively. Seeds of Peace | “Peace is made by people” is the philosophy behind the summer camp Seeds of Peace. Journalist John Wallach set up the Maine camp in 1993 with 46 teenagers from America, Israel, Egypt, and Palestine with the goal of promoting dialogue and building relationships between future leaders. Seeds has grown to include campers from 27 countries with a network of over 5,000 campers and educators. United Religious Initiative | The United Religious Initiative (URI) advocates for enduring, daily interfaith cooperation, and ending religiously motivated violence in the world. They envision a peaceful world consisting of engaged and interconnected communities with nonviolent solutions to conflicts.